Since it is Christmas and this is the season for giving, we are pleased to offer you your Marketplace traffic free of charge, going forward without time limitation. 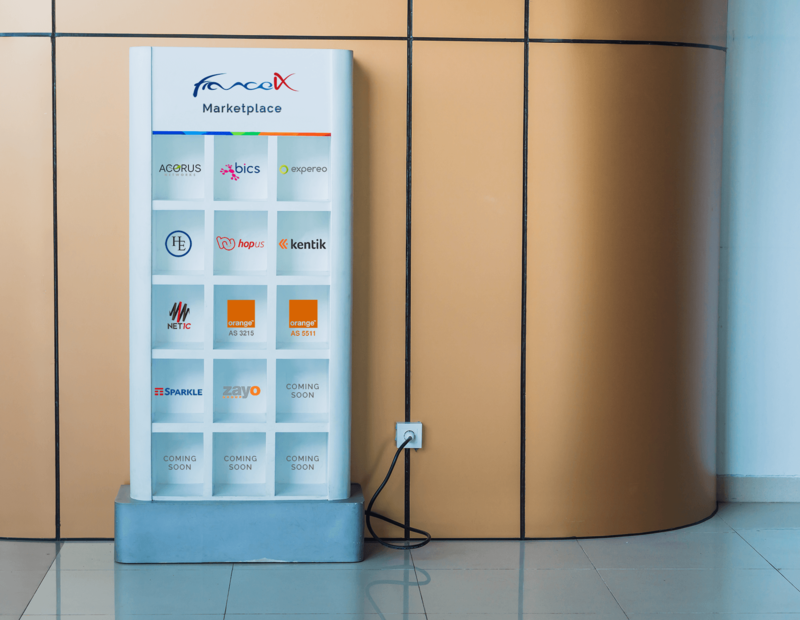 This means you can activate 1, 10, 100 VLANs towards the existing 11 Marketplace sellers, exchange 100M, 1G or even 10G of traffic with them without worrying about going over your peering traffic commitment. Only setup fees will be applied for the configuration of the VLANs. In other words, your peering traffic and your traffic on VLANs going to Marketplace sellers are now separate, so only your peering traffic is taken into account towards your traffic commitment and invoicing. In case your total traffic reaches its physical port limitation (1G, 10G, 100G) due to your traffic generated on the Marketplace, you can migrate to the next physical port size with the same peering traffic commitment. In this case, only half of the port NRC will be charged for 10G ports. You have a 1G port with 100M traffic commitment and you are using all of this capacity for exchanging peering traffic. You activate 2 VLANs for 2 different services on the Marketplace at 500M each, reaching 1G of traffic with Marketplace sellers. You are using 50% of that capacity, so 500M. Your total traffic usage is 100M of peering and 500M of Marketplace traffic, i.e. a total of 600M used bandwidth. Normally you would be asked to upgrade to a 1G commitment. 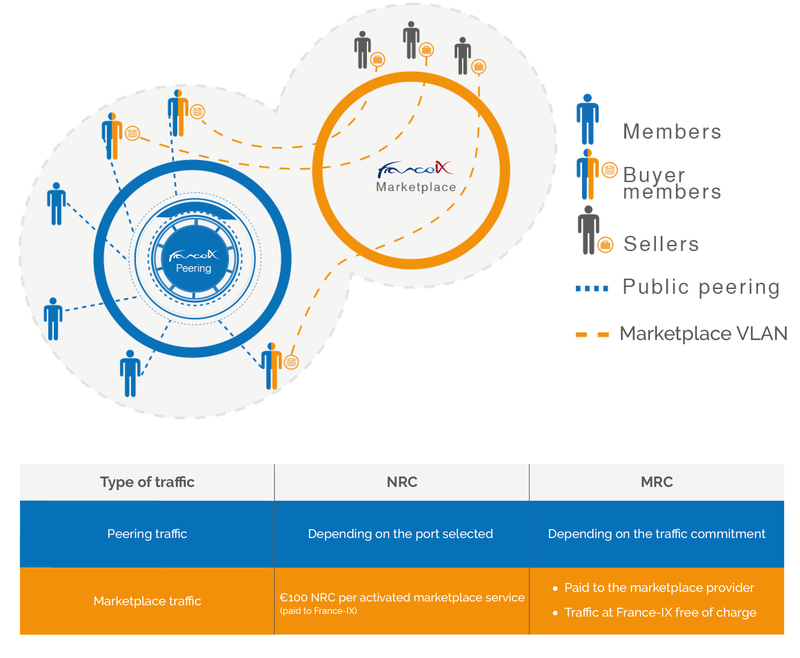 With this new rule, not only you do not have to upgrade your traffic commitment (because you peering traffic is still within your total traffic commitment), but you could also migrate to a 10G physical port (charged at NRC 10G €1k – 50% = €500) to benefit from the full potential of your Marketplace capacity and even add more. In the enhanced member portal scheduled in 2019, you will be able to separate the two types of traffic (for now, just select your Marketplace partner(s) to isolate your Marketplace traffic). In the new 2019 general terms and conditions, this new rule will be added, to keep it in the long run. To start your Marketplace traffic, check out the latest list of Marketplace sellers and their contacts here. 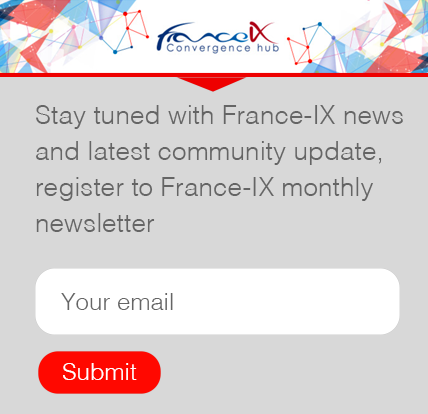 Any question, please do not hesitate to contact our Sales team at sales@franceix.net.